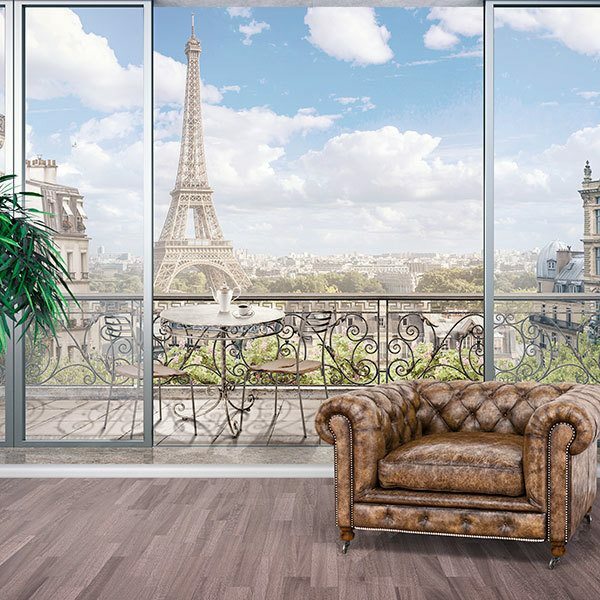 Wall mural Balcony in Paris. 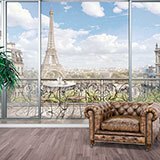 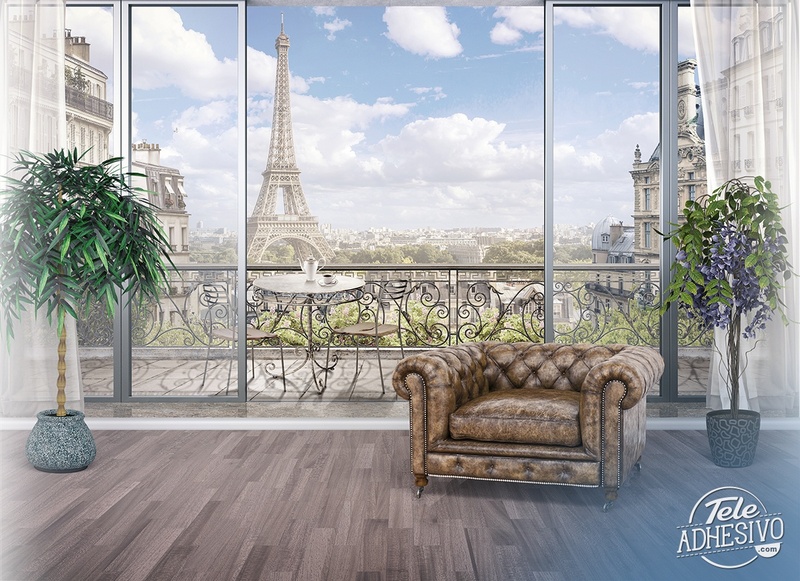 Magnificent image from inside a glazed house with a large balcony overlooking the Eiffel Tower. 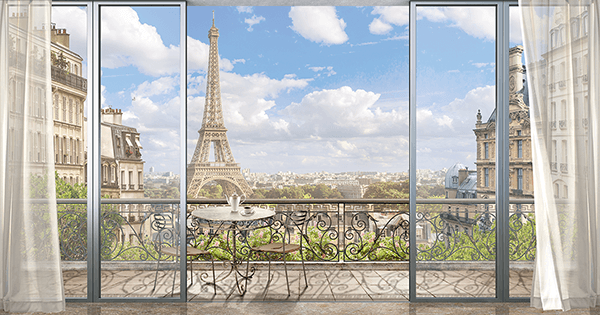 On the balcony there is a table and two chairs where you can contemplate the panoramic view of the city of love during a graceful day with scattered clouds in the sky.